Beach Plum Spa | 4 Reasons You Really Need A Facial, Stat! It’s never too early or too late to start a healthy skin care regimen. Let’s face it, life is tough on skin! Summer days in the blistering sun on the beach and in the water can be seriously damaging to our skin. In the winter, months of cold spells and the blast of central heating can leave skin feeling dry, chapped, cracked and just plain miserable. If you want to look and feel your best, a proper skin care regimen is essential which is why you need a facial – now! Your skin is so important! Treating it right, taking care of your complexion and addressing any problems early on can mean the difference between healthy, younger looking skin and a complexion that just seems dry and lackluster. Along with your home skin care routine, one of the most enjoyable methods for keeping your skin in top condition involves the use of regular professional facials. For best results, skin care specialists recommend having a professional facial once a month. But for many, getting a facial is a calming indulgence akin to a manicure or pedicure — though, maybe not as frequent. But, getting routine facials from a professional esthetician offers so much more than just a relaxing experience — most importantly, keeping skin healthy, clear, and glowing. The Beach Plum Spa is the ideal place to take a break from the hectic pace of everyday life and get away for some much-needed self-care and a little pampering, too. With a splendid variety of facials to choose from, like our popular Sea “C” Anti-Aging Facial, our Signature Ultrasonic Facial and our Beach Plum Royal Facial, our gifted estheticians will have your skin glowing so you can emerge your treatment with a newfound sense of radiance. Here are a few reasons why you really need a facial, stat! By far, one of the biggest benefits of a facial is the deep-cleansing of the skin. Every day, the skin on your face gets exposed to environmental elements and more toxins than any other part of your body. From wind, sun and air pollution to make-up, scrubbing and cleansing, the skin on your face really takes a beating. Pores get clogged and your regular home skin care regimen may not be enough to effectively remove dead skin cells, dirt and oil. A professional facial goes deeper into your pores, removing the toxins and dead skin, reducing acne blemishes and improving skin clarity, while soothing redness and inflammation. When you get a facial, your esthetician gets up close and personal with your skin, which we promise is not a bad thing! Part of getting a facial is learning how to care for your skin properly. Everyone has different skin types and it’s important to tailor products and treatments accordingly. An hour of one-on-one time creates an opportunity for our esthetician to provide professional advice, as well as tips and tricks on how to best care for your skin. They can also let you know which products and ingredients work best for your skin and how to care for your skin at home so you can maintain the results of your facial. Contrary to popular belief, every skin type needs hydration, including those with oily skin and acne-prone skin. Think of your skin cells like fish — they need water to survive! In order to maintain healthy, glowing skin, it’s imperative to keep it hydrated. Facials help to regulate the proper moisture level your skin requires. Hydrated skin is radiant, supple and younger looking. 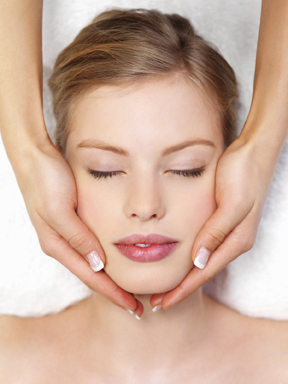 A facial is just for you and will give you time to re-energize and clear your mind. It’s not just good for the skin, a facial feels great too! Nourish your soul and pamper your skin in just a few blissful hours at the Beach Plum Spa. You’ll leave feeling refreshed and rejuvenated. Along with our infrared sauna at the Cape Codder Resort location, come and enjoy the use of our all-season, outdoor swimming pool and fitness center at the Cape Codder Resort, our seasonal outdoor swimming pool at the Dan’l Webster Inn or our Pilgrim Cove Indoor Theme Pool and fitness room at the John Carver Inn are available to all spa guests with treatments of $200 or more (guests of spa guests are not included). If you would like to use our facilities*, please arrive a minimum of 45 minutes before your appointment time. Restrictions apply. Pool facilities are not available for use in July and August. Please ask in advance. *Use of Cape Codder Water Park not included with spa services.